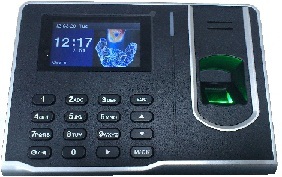 H7 is a standalone fingerprint T & A System, IN and OUT status, Lunched newly for small employee size companies. It could store 500 fingerprint templates and 50,000 transaction records. It will bring you much profits because of its low price. Built-in USB port and SD socket allow manual SSR recorder transfer.